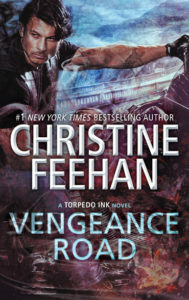 Christine Feehan, author of the upcoming VENGEANCE ROAD, is quite the home decor enthusiast. In this post, she’s sharing favorite pieces from her own home, and how she found them! 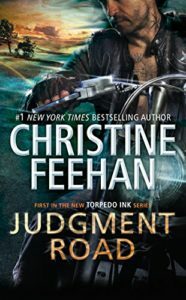 Keep reading too, because Christine is also giving us a sneak peek into her new MC romance, VENGEANCE ROAD. 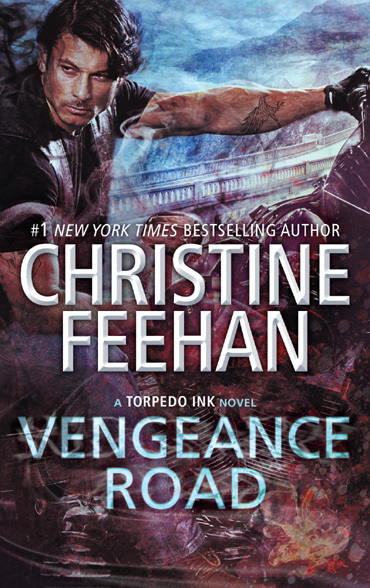 This is the second standalone installment in the Torpedo Ink series, out this week! I was vacationing in Hawaii last year when I came across Vladimir Kush’s art gallery in Maui. 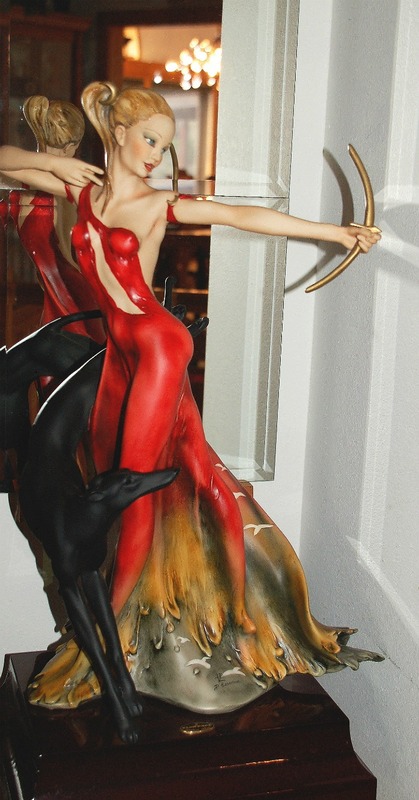 I fell in love with this sculpture immediately. The name of the piece is One Size For All and the artist talks about his inspiration for the piece having to do with emotions overwhelming us and sometimes we have to loosen the laces to let it all out so we can tighten them up again. 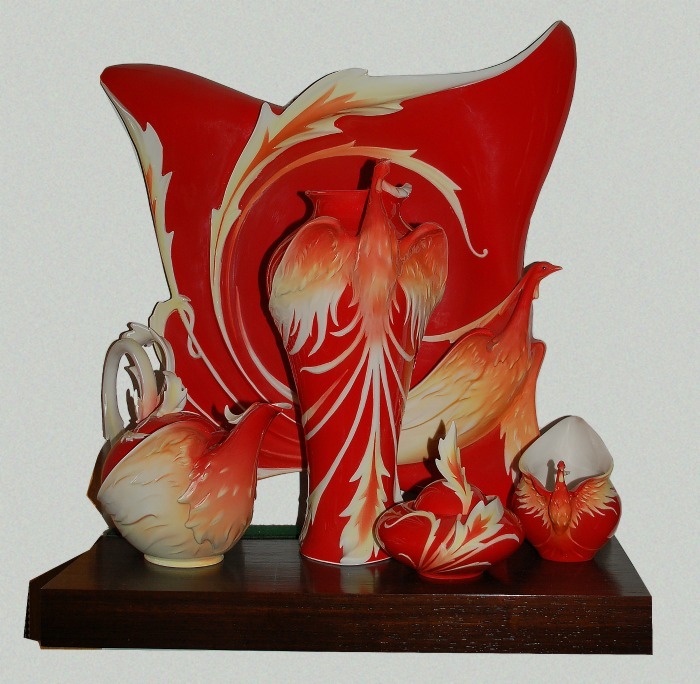 This is a tea set with a Phoenix theme by Franz. I’ve always loved the idea of the phoenix rising from the ashes. I think we all have to reinvent ourselves from time to time and for a variety of reasons and the mythology of the phoenix represents that for me. 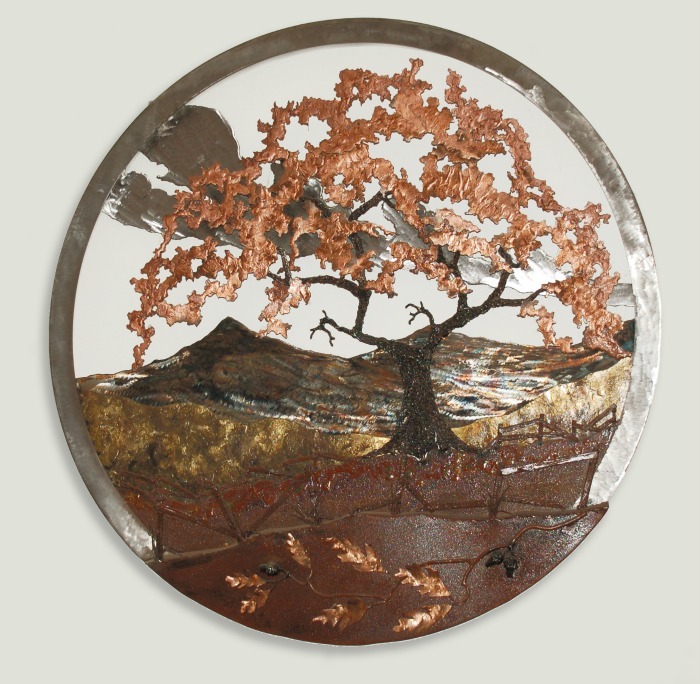 I’ve always loved the Tree of Life and when I saw this beautiful metal sculpture I knew exactly where it would go in my home. When you walk in the front door, you can see it hanging on the wall. The sun catches the bronze and turns it a golden red. I have a great fondness for this Armani sculpture. I was writing one of my leopard books when I first saw her. As in all the Armani sculptures the faces of the woman are beautiful and full of emotion. 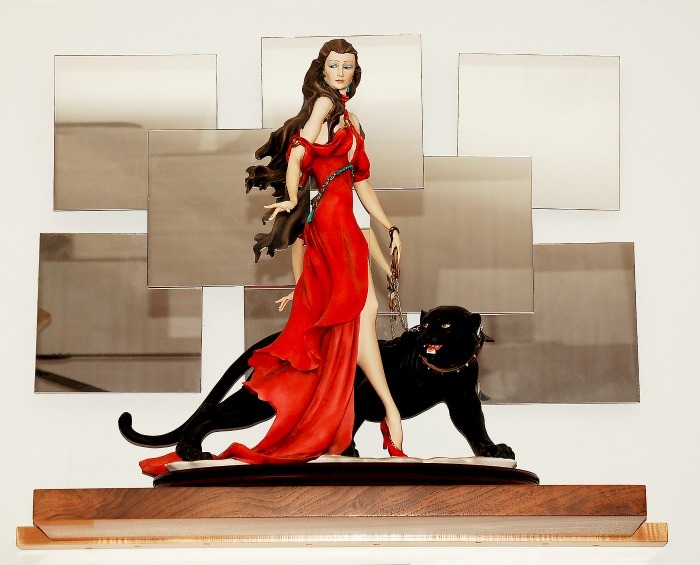 Looking at her with the black panther always inspires me. 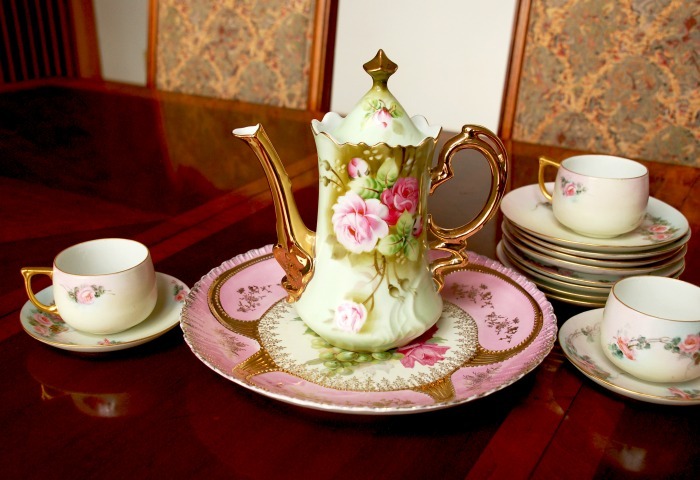 Beauty, tradition and sentimentality are at the heart of this tea set collection. I remember when I was 4 years old, standing in front of my grandmother’s display cabinet staring at this set. I was in love with it. My grandmother told me that her mother had given them to her and that, one day, the collection would be mine. My grandmother passed when she was 98 years old. The collection is mine and it gives me such joy to look at it and to know that one day it will belong to one of my daughters. This tea set belonged to my grandmother and then my mother. It is all hand painted. All of us loved tea and to this day I still do. It’s not uncommon for my daughters to come over and we make a pot of tea so we can sit together and chat. 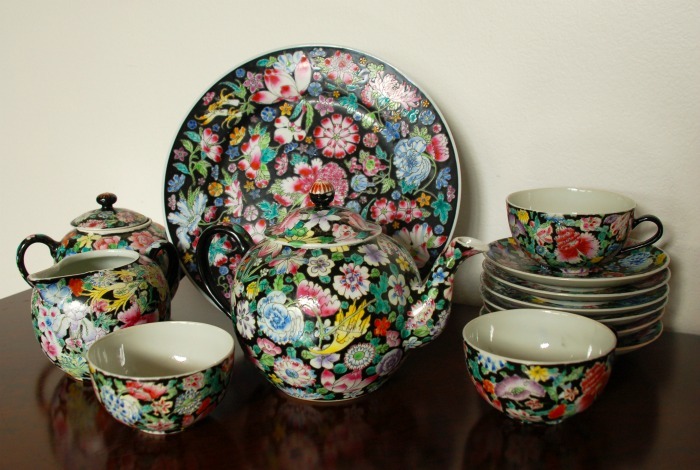 Tea is a tradition and this set is close to my heart. This Armani is very special to me. The moment I saw her I thought of a Carpathian warrior woman, beautiful and dangerous. I had to have her. She became the inspiration to a character called Ivory who was the heroine in my novel Dark Slayer. She’s a sassy little fairy and her expression always makes me think of my daughters growing up. She’s bronze and over a foot tall. 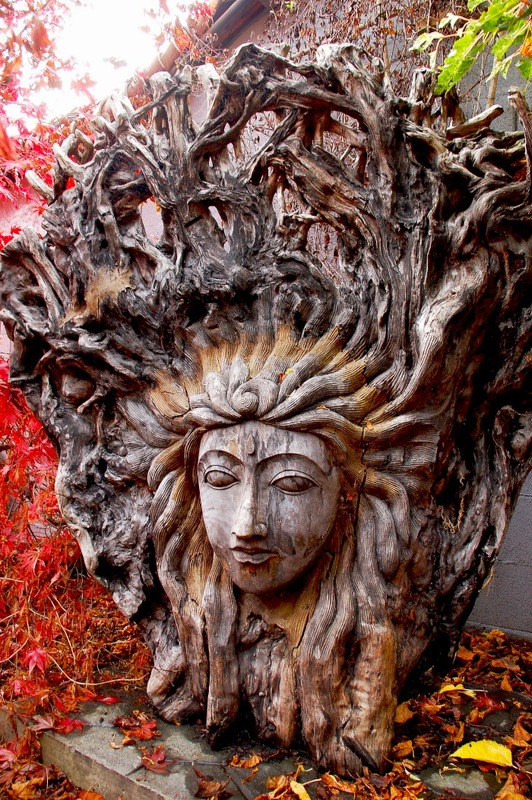 I love fairies and have several both inside my home and out in my gardens. But, this one is in my room where she reminds me daily that sassiness isn’t a bad thing. 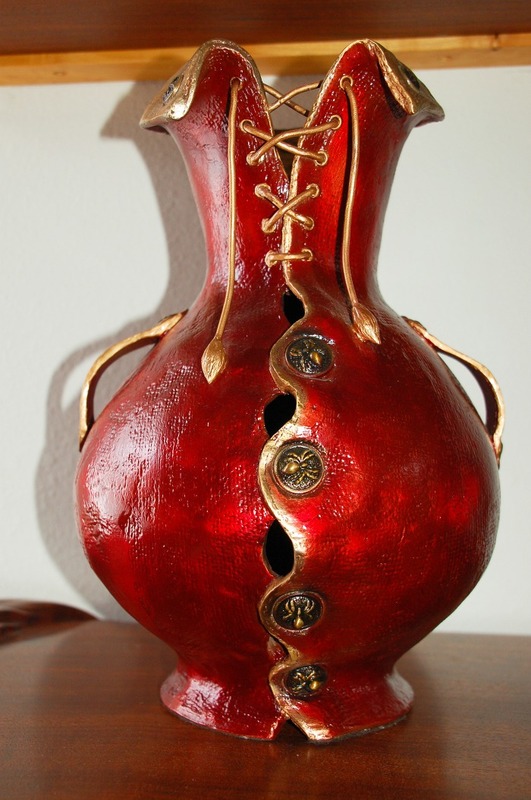 I wanted to show different angles of this piece so you can get an idea of how amazing it is. I found myself in an old store that I’d never normally go into. 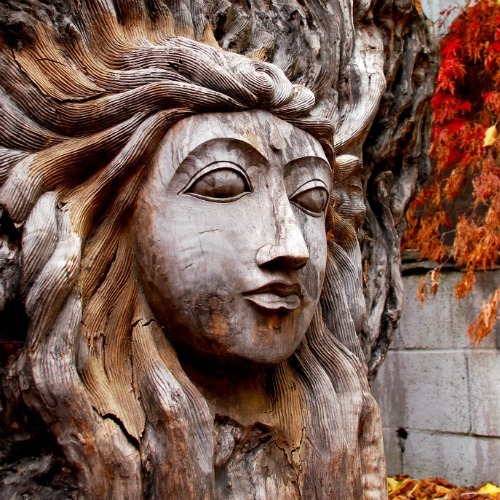 I wandered around and the back of the store this wooden sculpture sat quietly with dust across her face. I believe she was waiting for me and had been for a very long time. So, I took her home and put her in my Japanese garden. 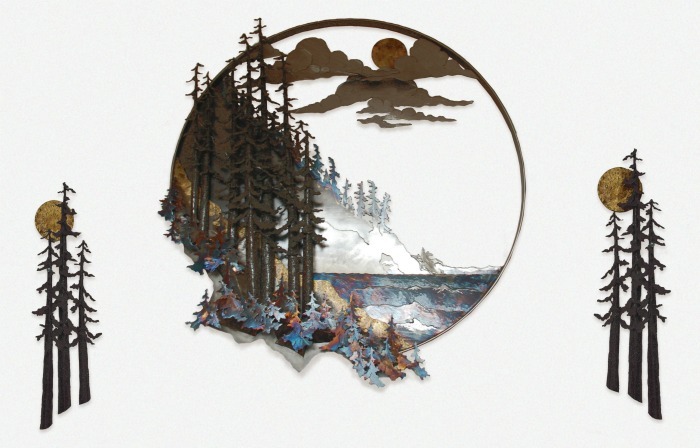 This art hangs in my dining room and is made up of three pieces. I fell in love with it because it reminded me of my home on Cobb Mountain in Lake County, California where I lived for so many years raising my children. Unfortunately, I lost the house in the 2015 fires that took so many homes. But, the art still reminds me of the wonderful memories I have from there. Breezy slept fitfully, waking at the least little sound, such as a branch scraping across her rust bucket of a pickup. It sounded like a saw rasping over the paint and yanked her out of her dozing over and over. She climbed out of the truck only when it was absolutely necessary, and she had to use the bushes. Each time, she forced herself to drink more water. She’d given up eating, but that only made her feel slightly faint. She wasn’t hungry anymore, but thirst persisted in spite of her desire to ignore it. She drank water and that meant more trips outside the truck, which meant she was at risk. She watched the fiery ball of the sun begin its drop into the sea. The sky turned all shades of golden, and then orange spread through the low clouds drifting overhead. She had to admit, as sunsets went, it was pretty spectacular. She could have settled here in Northern California. She didn’t like big cities and this area was far from that. Truthfully, she needed to be in a city, to disappear. There, no one cared or noticed a waitress working in a diner. In a smaller town, like Caspar or Sea Haven, everyone would notice. She had been so careful, keeping her head down, working, nothing else. Just staying off the radar and as far from the club life as possible. Still, she’d been pulled back despite everything she’d tried to do to prevent that from happening. The life was insidious, and once in, it seemed there was no way out. She was crying again and that always gave her a vicious headache and annoyed her. She had stopped crying three years earlier after she’d spent weeks giving herself a headache and little else. She’d stopped, gotten on her feet and taken care of business. She’d been proud of herself for every accomplishment. Then her world had fallen apart and she’d had no choice but to make certain Steele got that letter. Everything depended on him getting it and following the instructions. That was important and yet, she knew, following instructions was very unlike Steele. She didn’t even know for certain if it would matter enough to him that he’d do it for her. The sun plunged into the sea and she immediately began preparations for leaving. It was nearly time. She climbed out of the window and began removing the branches and vines from around her pickup. She had to back the truck straight along the road for a good thirty feet before there was a wide enough area for her to turn around. She made it the thirty feet without using lights as the darkness was only just becoming, inky streaks running through the very dim light. 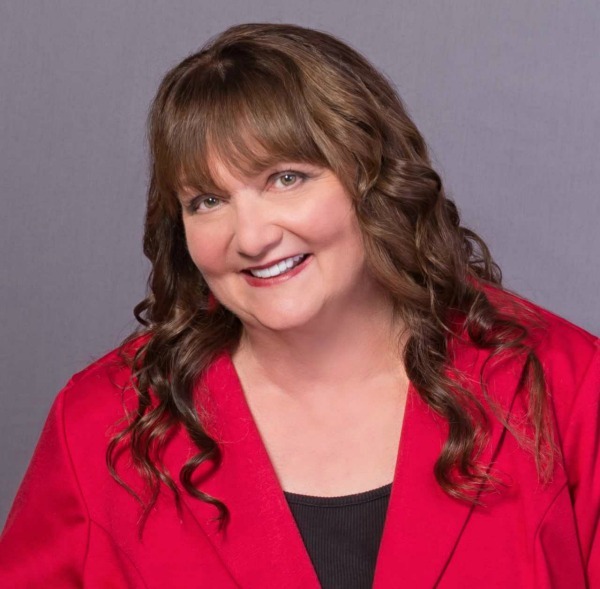 As she started up the road, heading away from the ocean and toward the main highway, she saw that a small tree had fallen across the dirt track. It didn’t surprise her, given the wind. Fortunately, the round trunk looked more like a sapling than a mature tree, one she could handle by herself. Sighing, she turned on her headlights to illuminate the area, so it would be easier to shift the fallen tree. Pulling gloves out of her glove compartment she pushed open her door with the soles of her boots and slid out. She was tired, afraid and anxious to be gone from Torpedo Ink territory. Just the thought of that dangerous ride along the highway was terrifying. She planned to take the Comptche-Ukiah road leading away from the coast. It would take her off the highway. They probably thought she hadn’t done any research or planned ahead—after all, she was a stupid female to be used for carrying drugs or weapons or prostituted out on behalf of the club. She couldn’t actually think. Bitterness nearly choked her. She detested MCs and all they stood for. She crouched, took a breath and reached down for the trunk. 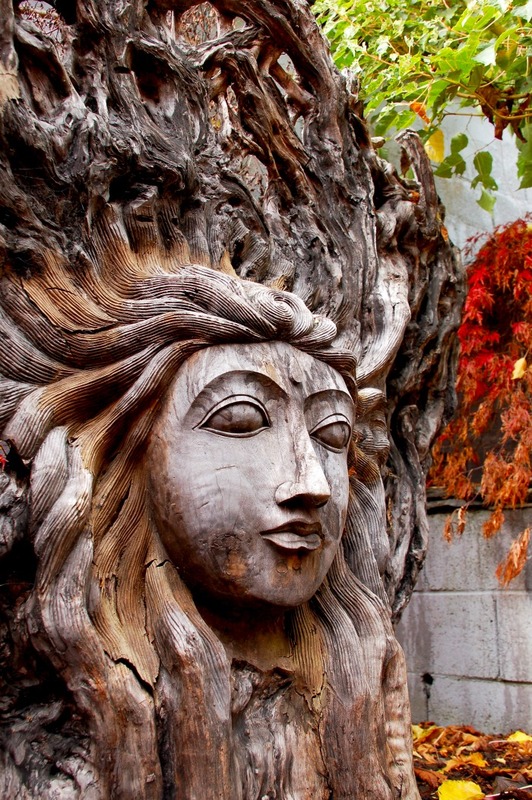 The moment she had her hands on the tree, arms reached around her, caught her wrists and yanked them behind her back. She rose up fast, throwing her head back to try to come in contact with her attacker’s head. He grunted when she smashed into his chest, but he had already secured her wrists with zip ties. Love this site thanks for sharing. Love your art also. I too love art but I use upcycle mostly. Your fairy’s are lovely.